Caldecott Award winner and bookmaking trailblazer Brian Selznick once again plays with the form he invented and takes readers on a voyage! Two seemingly unrelated stories--one in words, the other in pictures--come together. The illustrated story begins in 1766 with Billy Marvel, the lone survivor of a shipwreck, and charts the adventures of his family of actors over five generations. The prose story opens in 1990 and follows Joseph, who has run away from school to an estranged uncle's puzzling house in London, where he, along with the reader, must piece together many mysteries. THE MARVELS is one of the most unique books I've ever read. When I first picked it up, I thought the illustrations would be interspersed throughout the novel like I was used to. However, the first part of the story is told entirely through pictures. 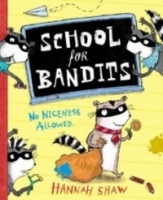 This was so different from what I usually read that at first I felt a bit unmoored, but I quickly got over that feeling as I was pulled into the story. The illustrations are so well done that one doesn't need words. The illustrations start with Billy Marvel in 1766 and then it rolls through time and subsequent generations, all painting this complex and intriguing picture of the Marvel family. The second part of the story is about Joseph, a young boy who runs away to his estranged uncle's home in London. I loved their burgeoning relationship. You can feel the connection between the two as Joseph uncovers more about his uncle's life and house. The reader can't help but try to solve the mystery alongside Joseph. I have to admit, I was pretty surprised when the twist was revealed! I thought it was going to go a different way. 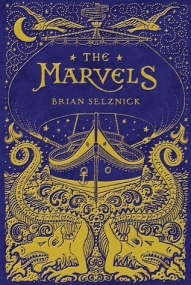 THE MARVELS is a beautifully-woven, heartbreaking story about family, love, loss, and finding where you belong.